White Rabbit has opened the doors to its new Brewery and Barrel Hall, located in the heart of the Little Creatures Brewery Village in Geelong. With demand for White Rabbit beers increasing and limited space available, the Brewery made the decision to pack its bags once more and relocate from its previous home in Healesville, bringing with it the original Little Creatures brewing gear. This is not the first time the brewery has moved however; it was the original Little Creatures gear. The new home will now feature a Barrel Hall that will enable the brewing team at White Rabbit to further explore its ethos of “Fermentation with Imagination” and introduce a range of beers made with the aid of barrel ageing and blending. Jeremy Halse, Head Brewer at White Rabbit said: “We’ve always been rather enamoured with old-fashioned brewing practices and balancing them with a sprinkling of new world thinking. It all began with the magic of open fermentation, and now with the gift of additional space at our new home, will continue with the wonder that is barrel ageing. “Fermentation is the finest of all the inventions and our open fermenters provide the ultimate environment for yeast to thrive and flavour to cultivate. “As to our new Barrel Hall, much like wine, ales take on a new depth of flavour when barrel aged. The addition of wild microflora to the beer within the barrels lends the beer added dimensions. 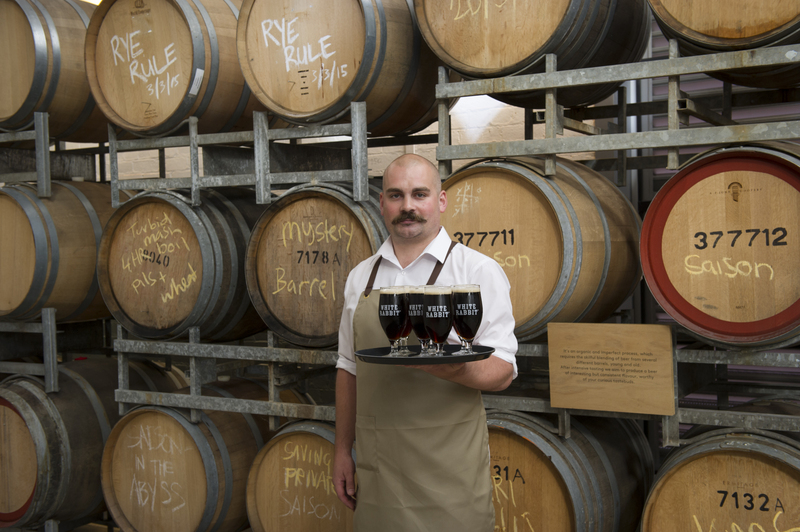 “Our new home in Geelong allows us to store our lovingly repurposed barrels and get to work creating some intriguing new flavours,” said Halse. The White Rabbit Brewery and Barrel Hall will be open to the public offering a unique beer tasting environment with a ‘general store’ retail component located inside, showcasing the region’s produce. It will be a space for likeminded producers to come together and collaborate. This will include a selection of hand cut meats, local olives, cheese and ploughman’s platters, sitting alongside hand-crafted wares and beer goods. 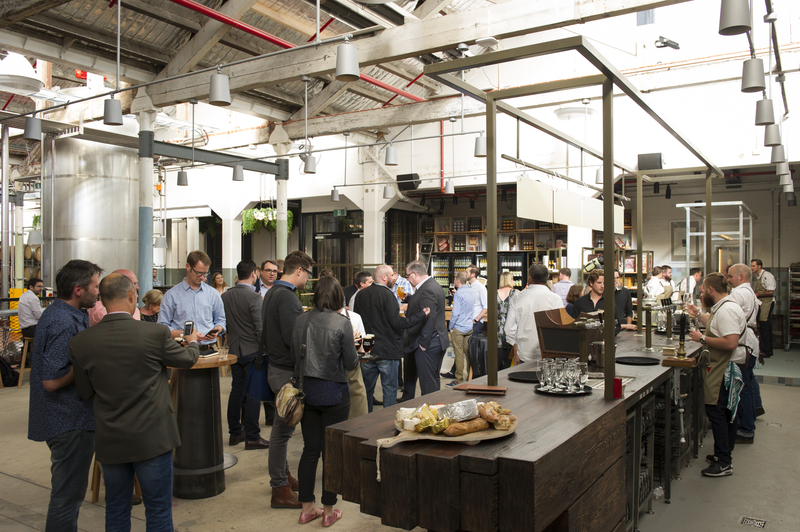 This complements the existing brewery village experience at Little Creatures where visitors can grab a meal with family and friends at the Canteen, and enjoy regular brewery tours, entertainment and an artisan market on the second Sunday of every month. “We think our new White Rabbit Brewery will provide another great environment to celebrate craft beer in this country, whilst bringing new guests to the Geelong region, keen to seek out what our brewery village has to offer,” Treanor said. The White Rabbit Brewery and Barrel Hall will showcase beers from the White Rabbit range including White Rabbit Pale Ale, White Rabbit Dark Ale, and White Rabbit White Ale – as well as special editions. The first of its permanent Barrel aged beers is planned for release in March, with people able to taste it at the Brewery and Barrel Hall from day one. The White Rabbit Brewery and Barrel Hall will be open Sunday to Thursday: 11:00am – 5:00pm, Friday to Saturday 11:00am – 9:00pm, and is located on the Little Creatures Village – 221 Swanston Street, South Geelong.